The Bianco range is both modern and contemporary. 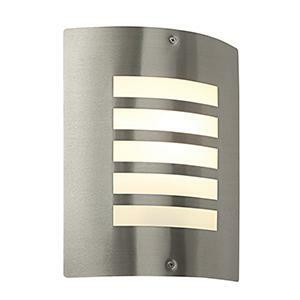 This brushed stainless steel exterior light and wall bracket, with an opal diffuser made from polycarbonate. The Bianco includes a 7W LED module (SMD) with a 3000K colour temperature and is IP44 rated. Also available with a PIR sensor.